Sometimes a small storage shed is all that a particular outdoor space calls for. In such situations, this portable storage shed from Shelter Logic fits the bill perfectly with it's 6 x 6 foot square profile. 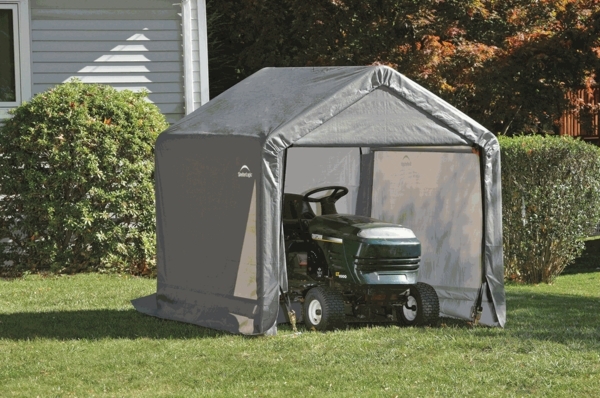 The shed's frame is made of 1 3/8" steel tubing and is held securely by a ratcheting tensioner system, enhanced by the slip together wedged tubing. The cover itself is a triple layer polyethylene that is both waterproof and UV resistant. Can this storage shed be completely zippered shut? 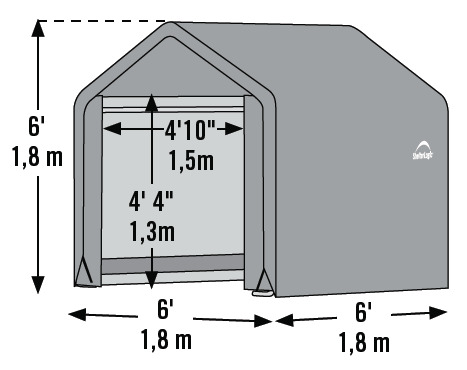 Yes, this ShelterLogic shed in a box can be completely closed. The front door features double zipper to be able to open one side for a quick pass thru or open all the way for full access.